In strict terms, the Regency describes the years from 1811 to 1820 during which George III was judged to be incapacitated and his son, the Prince of Wales, acted as Regent. Architecturally, however, it can be thought of as a final chapter of the Georgian period, that great age of architectural consensus which began with the accession of the Hanoverian George I.
Blossoming during the early years of the 19th century, the Regency flourished for more than three decades until it gradually withered during the reign of William IV. It is indelibly associated with the profligate Prince and his court and it gave rise to an architecture of lightness and frivolity, of playful eclecticism, of surface rather than substance. 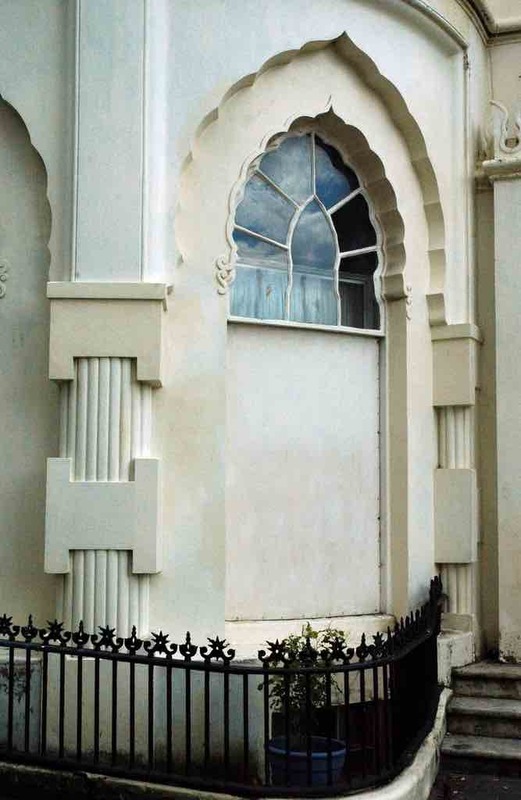 Regency architecture can’t be defined as a style for it embraced many different idioms – Classical, Gothick, Oriental, Vernacular – and is best understood as a mood or an attitude of mind. Its main protagonist was John Nash, whose most significant work was the grand picturesque plan for London’s Regents Street and Regents Park, with its stage-set classical facades and its contrived vistas. But Nash was equally happy to turn out an Italianate palazzo, a thatch-roofed cottage, a mock castle, a Gothick villa or a Mogul pleasure dome. 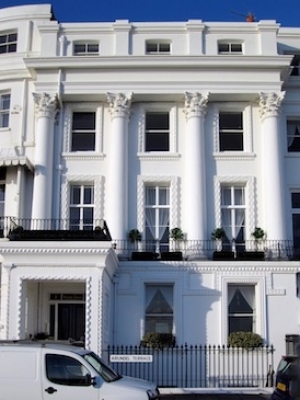 It was the Prince of Wales who, having first visited Brighton during the 1790s and later converted a modest farmhouse overlooking the Steine into a classical Marine Pavilion, helped to turn the town into a fashionable resort. 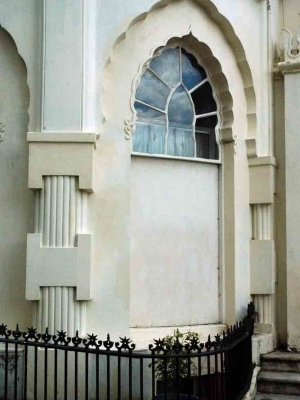 But it was the Prince’s favourite architect, Nash, who brought Regency architecture to Brighton in 1813 when he transformed the Prince’s pavilion into that heady amalgam of Mogul Indian, Scottish Baronial and Chinoiserie that is now the Royal Pavilion. Such was the demand for seaside accommodation during the early years of the 19th century that the town grew quickly from its historic core. In 1818, the architect Amon Henry Wilds laid out Regency Square, the first marine square to be designed as a grand architectural composition in the form of a pseudo- palace. The public wanted a view of the sea and Wilds realised that a recessed square would increase the number of sea-viewing properties by a factor of five and that bow fronted houses would enjoy better views and more light. But he also knew that the marine square made good sense in townscape terms and that the use of ordered classical facades would create a sense of identity and unity. 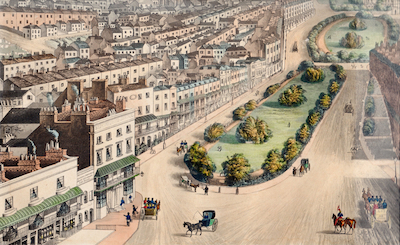 In 1823 Wilds entered into a brief partnership with a London architect called Charles Busby and together they created the magnificent Kemp Town development to the east of the town – one of the great masterpieces of Regency planning. Their partnership was brief, however, and Busby broke away to produce the master-plan for the monumental Brunswick Town on its western edge. 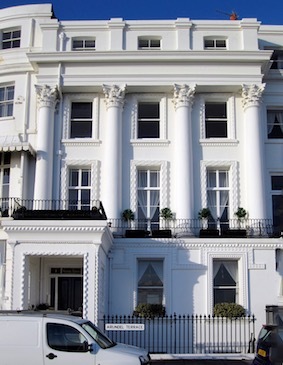 Wilds was the most prolific and innovative of Brighton’s Regency architects and was responsible for designing a number of major urban developments as well as churches and public buildings. One of his most curious and perhaps most typically Regency creations is the strangely heterogeneous cluster in Western Terrace, which dates from the early 1830s and comprises a miniature version of the Royal Pavilion, a Gothic house and a row of five exquisite classical houses masquerading as a small urban palazzo. 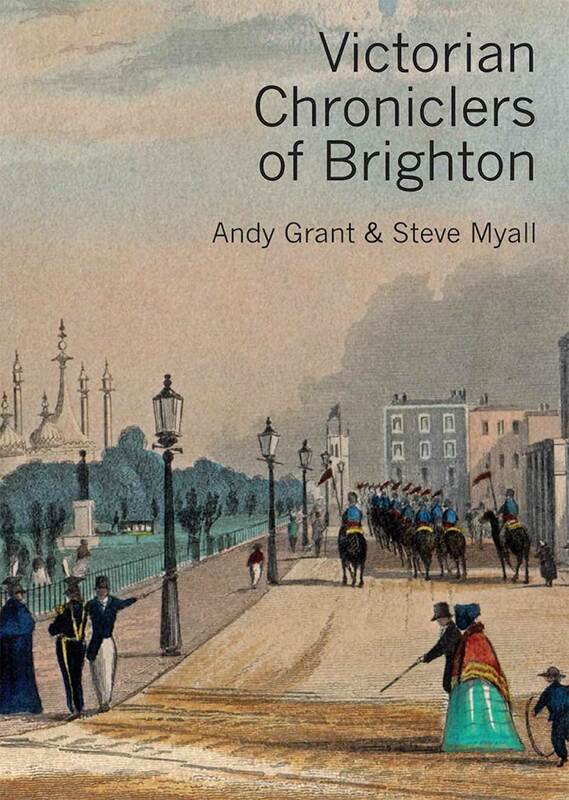 The pace of development subsided during the 1830s after the death of George IV and the cheerful frivolity of the Regency was soon extinguished by Victorian seriousness, though Brighton has remained essentially a Regency town.